Nothing quite makes you feel more alive than the sensation of the sand beneath your feet, the soothing sound of crashing waves and the smell of fresh sea air brushing against your cheeks. 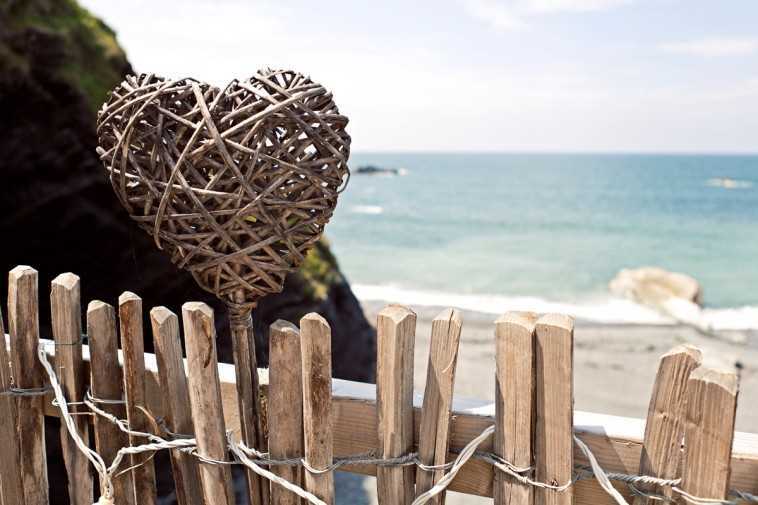 If you do like to be beside the seaside, then throwing a beach wedding seems like the ultimate celebration combining your love of the coastline and reciting your wedding vows with the one you love. A beach wedding is the perfect setting for invigorating romance, where you can enjoy a unique celebration filled with charm. Incorporate fresh seafood cuisine into your wedding menu or revel in a sizzling summer BBQ. Adorn your flowers, bunting and clothing in seaside pastels or opt for a vibrant summertime colour palette. When it comes to finding the right seaside location we have an array of enchanting wedding venues for you to choose from. Whether you’re looking for a marquee on the beach, a quaint shack or a large hotel by the sea, you are guaranteed a revitalising setting with picturesque views. A seaside hotel offers you spectacular views whilst providing a bespoke package with added comforts for you and your guests, including fine cuisine and overnight accommodation. Orocco Pier is a unique boutique hotel set on the water’s edge in Edinburgh. For a tranquil beach setting why not tie the knot on the waterfront or on your own private decking. They can cater for a varied party size from an intimate 4 person wedding to up to 220 guests for an evening reception. Newton Hall found in Northumberland is a luxury boutique hotel and wedding venue offering a stunning seaside views. Their wedding terrace is suitable for all seasons with its retractable roof, whilst their Wedding Hill provides striking 360 degree views. For the perfect beach wedding, catering includes cocktails and picnics, whilst vintage beach huts, tractors and hay bales all add a rustic outdoor touch. Devon is home to Saunton Sands Hotel, an Art Deco building set along a beautiful three mile stretch of coastline. You can choose to get married on the beach before celebrating in your own private function room equipped with a bar and dance floor. 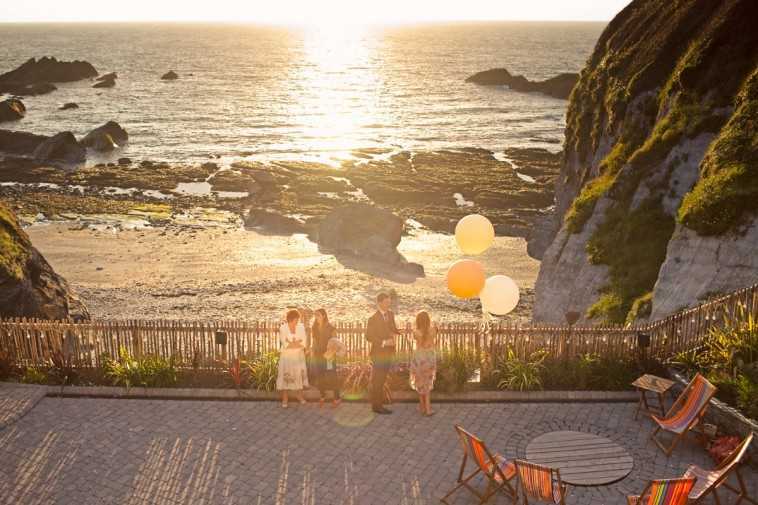 Sour Mill Cove Hotel located in South Devon provides an intimate beachside wedding venue amidst sandy coves and jagged cliffs. This romantic and private venue provides a number or function rooms including a marquee which overlooks the beautiful bay. Enjoy majestic coastlines and crashing waves in North Devon’s Tunnel Beaches, a supremely stylish venue overlooking the sea. Their thatched gazebo, balcony and roof terrace makes it an ideal location regardless of the weather. 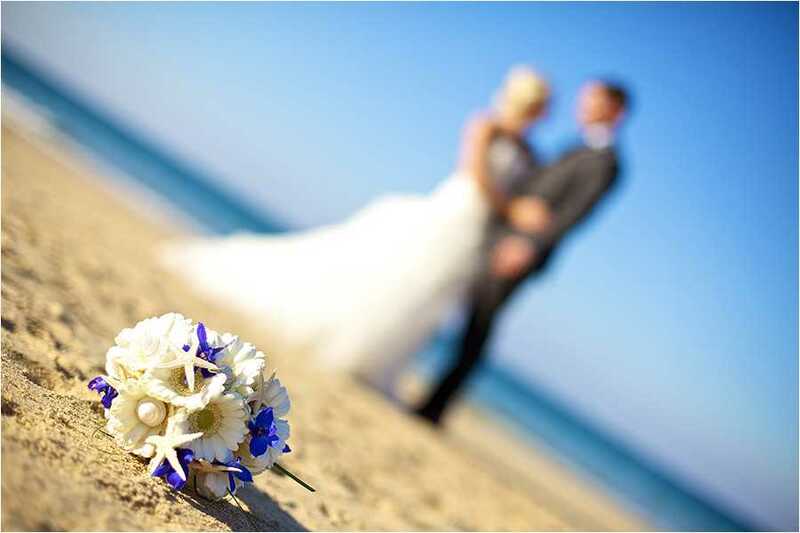 For the ultimate chilled out vibe why not get married right on the beach surrounded by Dorset’s natural beauty with Beach Weddings Bournemouth. Throw your reception inside a large or small marquee and enjoy traditional seaside cuisine opting for a beach BBQ or fresh fish and chips, or choose locally-sourced produce for a delicious buffet. Cornwall boasts Lusty Glaze Beach, whose horse-shaped sandy cove looks out over stunning surf and sweeping cliffs. In the colder months they offer covered beach decking for a cosy atmosphere. On warmer days their decking opens out so your guests can soak up spectacular views of the sunset. In keeping with the seaside scene, their restaurant specialises in beach BBQs and mouth-watering seafood paella. 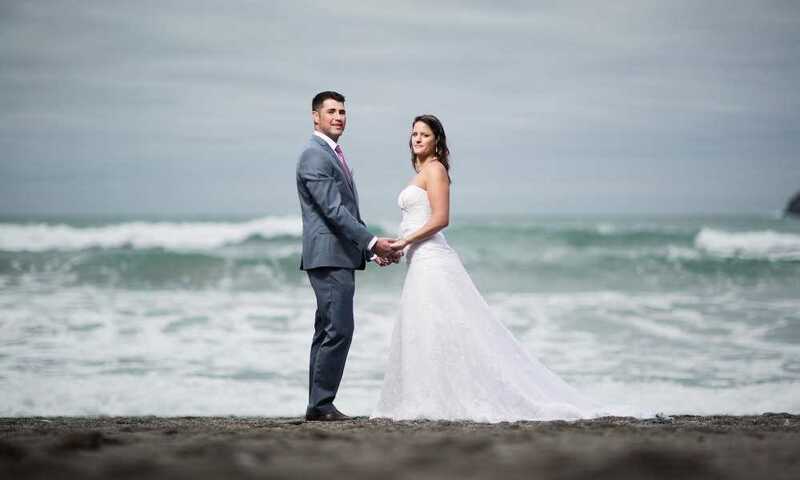 Click the following link for an extensive selection of Beach Weddings in Cornwall. If you are looking for a unique wedding venue set beside the ocean then The Wedding Chapel in Blackpool makes an architecturally spectacular building that will impress and intrigue your guests! Set on Blackpool’s seafront, the chapel is the first of its kind that was built this century which is what makes this venue so distinctive. In East Sussex you’ll find The Gallivant, a beautiful shabby chic venue set in a peaceful and intimate location behind the Camber sand dunes. The venue is ideal for all weather types and seasons, revel in a bliss outdoor beach celebration in the summer whilst in the winter they provide a fully heated ‘Winter Wonderland’ marquee for ultimate relaxation. There are endless options when planning your beach wedding. 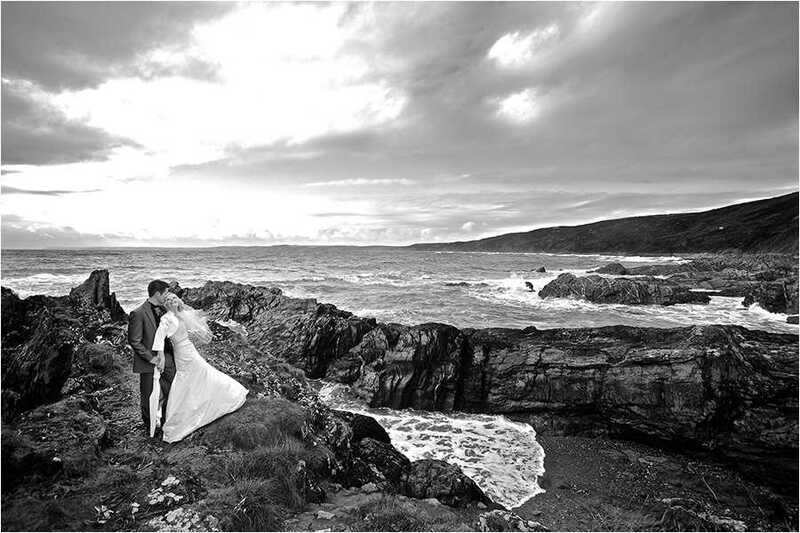 Browse our venue and supplier wedding directory to plan your perfect seaside celebration today.